AcheiUSA is the largest newspaper and website in the Portuguese language for the Brazilian community in Florida since October 2000. Akerman serves clients throughout the U.S. and overseas. Our team is recognized for its market leading practices in corporate, banking, finance, bankruptcy, litigation, real estate, environmental, insurance, healthcare, taxation, and labor & employment. Akerman is one of the leading law firms in Florida representing global corporations in connection with establishing and developing their U.S. presence. We also advise multinational clients on cross-border transactions and international disputes. 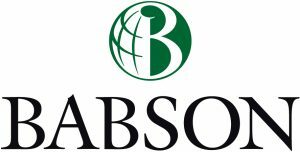 Babson Miami offers a range of graduate and executive education programs to entrepreneurs of all kinds living and working in South Florida and across Latin America. Discover how our globally renowned, top-ranked entrepreneurship education can help you pursue your professional goals. At Babson, you learn how to think and act like an entrepreneur, to identify and explore new opportunities in a way that increases your chance of success regardless of whether you’re starting a business or driving innovation within an organization. With headquarters in Miami, Florida, this unit offers wealth management services and a complete range of banking services and products to high net worth Latin American clients. It provides the convenience, confidentiality and variety of alternatives offered by the US financial market. The International Private Bank services are structured under Banco Itaú BBA International S.A., an investment financial institution with headquarters in Lisbon and also subsidiaries in Zurich, Nassau and Cayman. Cirque du Soleil is a major Canadian organization providing high-quality live entertainment. Confiança Logistics, LLC specializes in corporate and household moves within the United States and between the U.S. and other countries. Since the beginning, Confiança has provided professional, safe and reliable moving services, working with a global network of more than 450 agents. This is why Confiança is recognized as one of the leading transportation companies in the world. Diageo is the world's leading premium drinks business with an outstanding collection of beverage alcohol brands across spirits, wine and beer categories. There brands include: Smirnoff, Johnnie Walker, Captain Morgan, Baileys, J&B, JosÈ Cuervo, Tanqueray, Navarro Correas and Guinness. Diageo is a global company (listed on both the London and New York Stock Exchanges), trading in over 180 markets around the world. We employ over 22,000 people worldwide with offices in around 80 countries. Leading global business law firm providing legal services in Miami, FL with offices in more than 30 countries throughout Latin America, Europe, Asia Pacific, the Middle East and the US. Lawyers in our Miami office have particular expertise advising Brazilian clients on investments in US business and real estate projects. Also, we assist US and European companies operating in Brazil through our cooperative relationship with Campos Mello Advogados, which has over 120 lawyers located in SP and RJ. 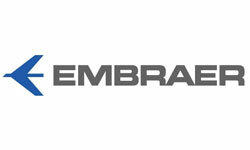 Embraer is the world’s largest manufacturer of commercial jets up to 130 seats, and one of Brazil’s leading exporters. Embraer’s headquarters are located in São José dos Campos, São Paulo, and it has offices, industrial operations and customer service facilities in Brazil, China, France, Portugal, Singapore, and the U.S. Founded in 1969, the Company designs, develops, manufactures and sells aircraft and systems for the commercial aviation, executive aviation, and defense and security segments. It also provides after sales support and services to customers worldwide. 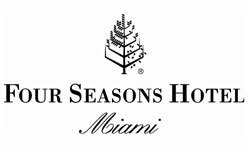 Celebrating its 10th Anniversary this year, Four Seasons Hotel Miami is located on Brickell Avenue. Guest rooms and suites mirror the hotel’s overall updated Art Deco style. Edge, Steak & Bar offers high-quality, interesting cuts of meat, indigenous seafood and locally-sourced fruits and vegetables. A two-acre rooftop terrace features two swimming pools and a wading pool shaded by majestic palms. The hotel also features a 50,000 sq. ft. wellness floor and 15,000 sq. ft. of function space. HAYMAN-WOODWARD PLLC is an Immigration and Business Advisory law firm. With its global headquarters positioned in the heart of Washington DC, HAYMAN-WOODWARD PLLC is one of the most prestigious international law firms in the United States, supporting companies and individuals in their challenges to build value across borders. HAYMAN-WOODWARD PLLC offers professional and personalized advice to clients and partners, in areas such as expatriation, international trade, tax and fiscal consulting and government liaison and business advisory services. As part of LATAM Airlines Group, LAN and TAM are the PREMIER carriers for travelers from the United States to South America offering an unparalleled network of destination to, from, and within the region. LATAM Airlines Group provides passenger transport services to about 135 destinations in 22 countries and cargo services to about 144 destinations in 27 countries, with a fleet of 325 aircraft. For more information about LAN or TAM, please visit www.lan.com or www.tamairlines.com, respectively. Piquet Law Firm offers legal services locally and internationally in real estate, corporate, tax, immigration, and business law. We have extensive experience assisting investors from Brazil, Latin America, and Europe who wish to establish a business, invest in real estate, and obtain work visas to live in the United States. Headquartered in Miami, and with affiliate offices in New York, Sao Paulo, and Paris our team of legal professionals is able to find the best solution and strategy to a variety of clients, custom tailored to both corporate and personal needs. Shutts & Bowen is a full service business law firm with more than 270 attorneys in seven offices throughout the State of Florida. Founded in 1910, Shutts & Bowen is one of the oldest law firms in Florida with more than 30 practice areas. We offer our clients, whether local, state, national or international, a diverse and complete range of high quality and responsive legal services. At Wild Fork Foods, we want you to love what you cook and eat, and we’re committed to helping you find a product that you’ll love. Our team of Personal Chefs and Friendly Butchers are on hand to answer your questions on the origin of the meat you are selecting, why it was cut how it was, or on new cuts available. Need inspiration? We can help with that, too! We have dozens of recipe ideas to help you get the most out of your meat.